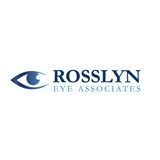 Rossyln Eye Associates (Arlington) - Book Appointment Online! Welcome to Rosslyn Eye Associates in Arlington. Dr. David Weiss, Dr. Lindsay Schad and the Rosslyn Eye Associates team strive to provide the finest in optometry services. We invite you to browse our website to learn more about our optometry services, and invite you to join our patient family by scheduling an eye exam appointment at our Arlington office which is conveniently located in the Rosslyn Metro Building above the subway. Very helpful and nice front desk staff. Dr. Schad was professional and clearly guided me through the eye exams.